Just as no two cars are the same, so it is that two similar cars can respond totally differently to all that life and the elements throw at them. 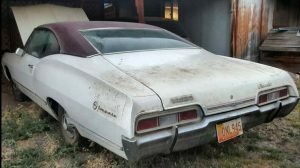 We’ve seen plenty of 1968 Camaros come across the pages of Barn Finds, and exposure to regular day-to-day driving has resulted in a car that is riddled with rust, and in need of major restoration work. 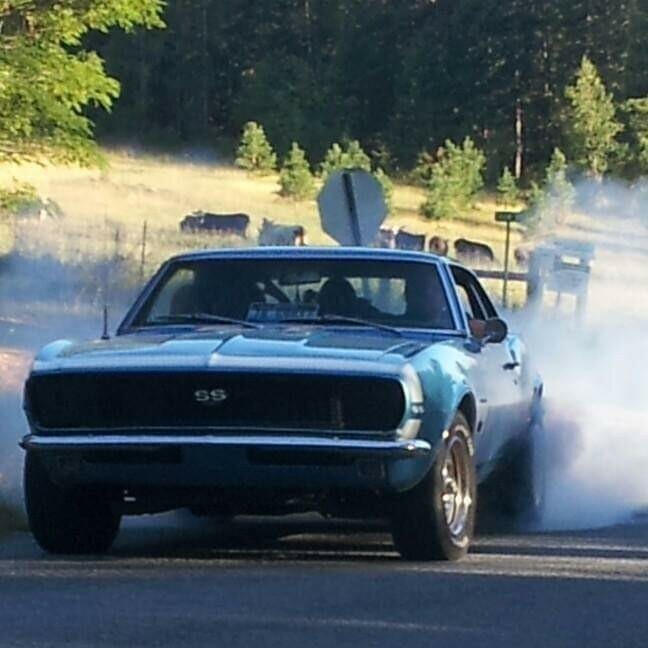 That’s what makes this Camaro so exceptional. The body, floors, and the frame are original and unrestored, and this is after the car spent 40-years parked up to its suspension in mud. You can find the full story here on Hot Rod. 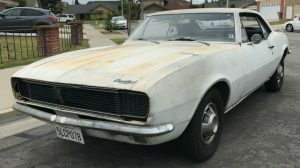 The back-story of this Camaro is quite interesting and leads us from the early 1970s through to the present day. 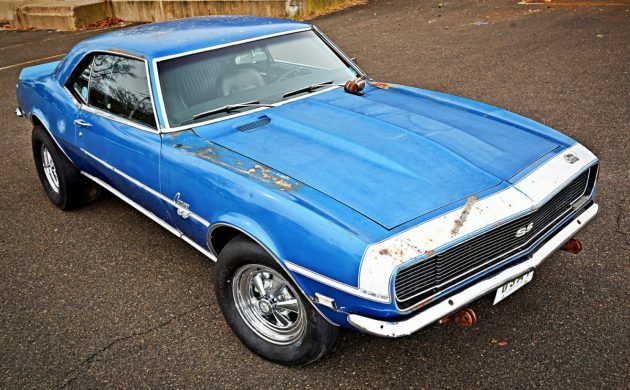 The car was purchased by its second owner in 1972, and he thrashed the original L78-engined Camaro around the streets until the engine finally raised the white flag. He then built a stove-hot 350ci LT-1, and the car saw duty on the strip, where it was capable of running the ¼ mile in the high 10-second bracket. The owner continued down this track for a few years until he’d had enough. He then parked the still healthy Camaro on the dirt beside his house, threw a tarp over it, and basically forgot about it. Roll the clock forward by 40-years, and the current owner got word of the car and convinced the second owner to let him look at it. When the tarp was removed, they found that the car had sunk into the mud to the point where it was down to the suspension. Now, as we all know, when a car has sat like that for so long, it’s floors and frame are usually something akin to Swiss Cheese. Not this Camaro. Apart from a coating of surface corrosion, the car was solid as a rock. After some negotiations, the car changed hands, and the current owner took it home. The interior was full of the sort of debris that wildlife and rodents like to take home, but this was all removed. 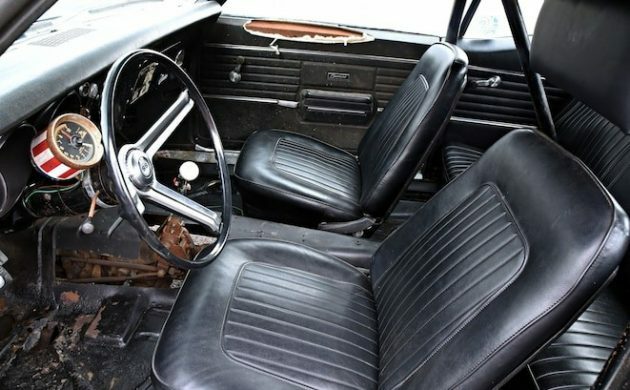 The interior now looks as it did when the car ruled the strips, with a hole cut in the floor to allow clearance for the Hurst Ram Rod Shifter. None of it’s pretty, but it’s certainly functional. 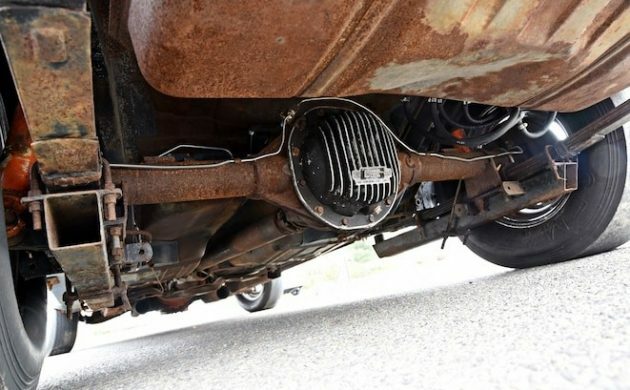 Once he started to go through the car, the new owner realized that he had a car that was a time capsule of 1970s performance parts. That LT-1 featured a solid roller cam, General Kinetic roller rockers, 12:1 compression, angle-plug heads, an Edelbrock Victor Jnr intake, and a Holley 950 cfm carburetor. 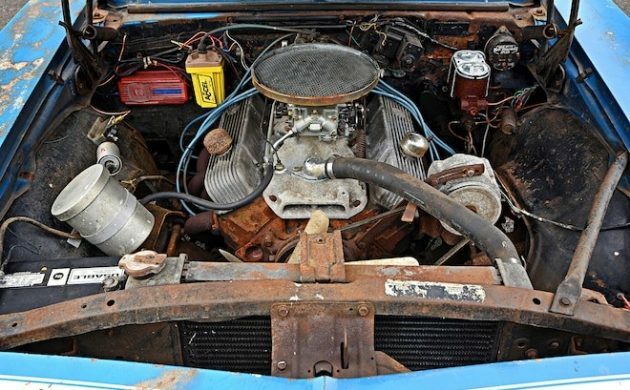 Power from the engine was then fed via a Muncie M22 transmission to a 12-bolt rear end. The big question was how much work was it going to need to fire a shot in anger again. After discovering that the carburetor was full of mud, this was removed, stripped, cleaned, and rebuilt. The intake had suffered the same fate, so came in for the same treatment. After feeding some oil into the cylinders and performing some other basic cleaning and maintenance, that LT-1 fired back into life and ran as sweetly as it had 40-years-ago. 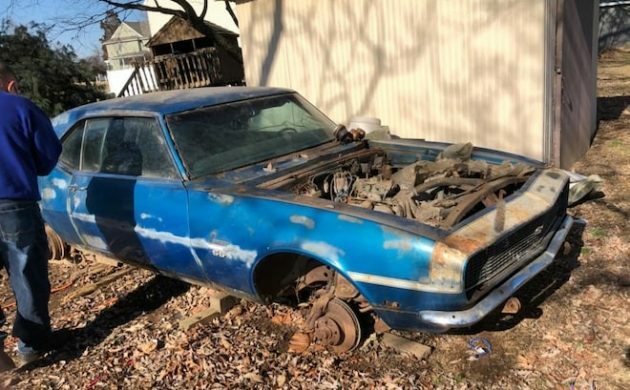 The owner hasn’t tried to restore the car. All he has done is to clean it up and get it back on the road. He had some used Cragar wheels, so fitted those to the car. Apart from that, the car looks exactly as it has looked for the past 40-years. 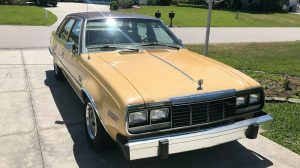 It’s rough, it’s tough, and it is a glimpse back into the 1970s, and what was available in the performance market in those days to make your car perform, and what these cars were really like when they ruled the roads in the 1970s. The muscle car gods must have been watching over this F body. I’m glad that it’s back on the road. Great story !! Even better car !!! Why no pictures of the rockers? Memories. 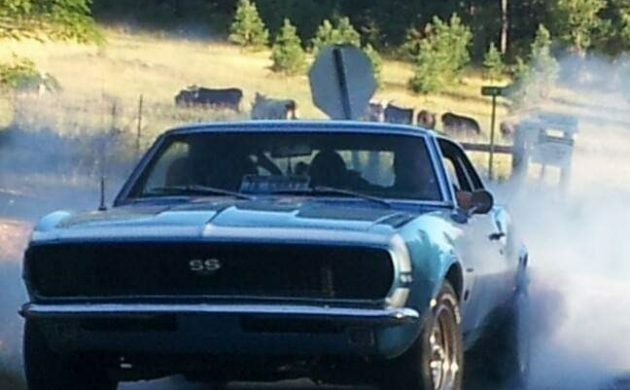 Had a 68 same color and stripe, but not an SS and was a 327 4 speed and I had the stars and stripe tach also. 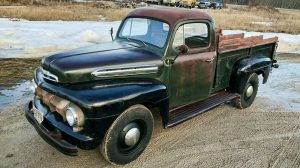 If it were mine, I’d fix it up just enough to get it reliable and drive it as is. Maybe a 4 wheel disc setup purely for safety’s sake. This is a time machine and should be treated as such, patina and all.